Did you know that just a few little adjustments in your business can have a big positive impact on the environment? 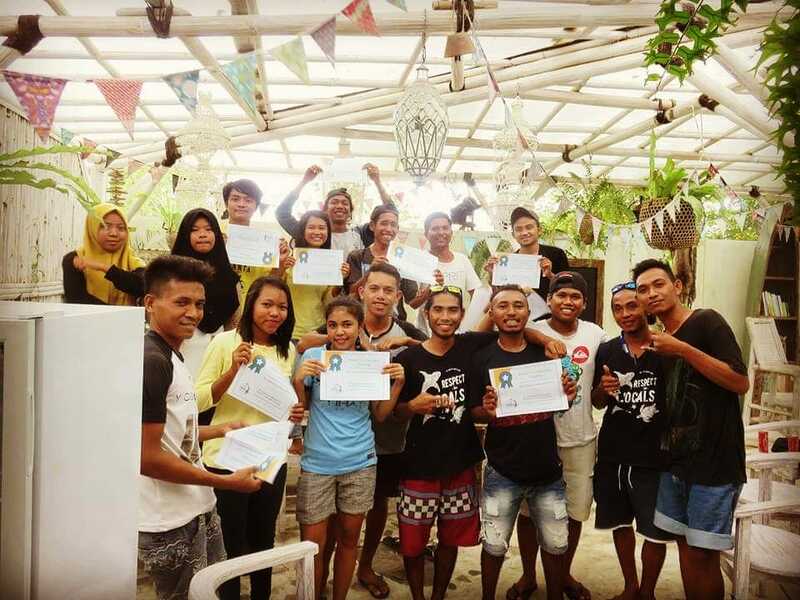 To share the knowledge about eco-friendly ways to operate, we offer our #PlasticFreeParadise training for all businesses on Gili Air free of charge. During this training, we will explain (in Bahasa Indonesia) why plastic pollution is a problem and offer solutions to help keep our beautiful island green & clean. The idea of offering Plastic-Free Paradise training came from the fact that with new businesses opening regularly, it became obvious that not every employee had the knowledge of what it meant to be eco-friendly. Or an awareness of the impact of non-sustainable business practices on the island. Our Plastic-Free Paradise training provides a guide to easy plastic-free alternatives that everyone can adopt and is part of our Plastic Free Paradise Campaign. The first time we delivered our Plastic-Free Paradise training we could see the impact immediately. Two days after the training, the staff of that business called; they saw that Slow Villa was organizing a beach clean-up and they were wondering if they could join! How fantastic! It was incredibly rewarding to see that these staff directly put their newly learned theory into practice and wanted to make a difference right away! The training itself takes only around 2 hours. Our Plastic-Free Paradise mentor will come directly to your business, at a time that suits you, in order to train your employees. Once completed, they will receive a certificate confirming their successful participation in our Plastic-Free training. So far, 10 new businesses have taken the plastic-free training. Their responses have been nothing but positive. 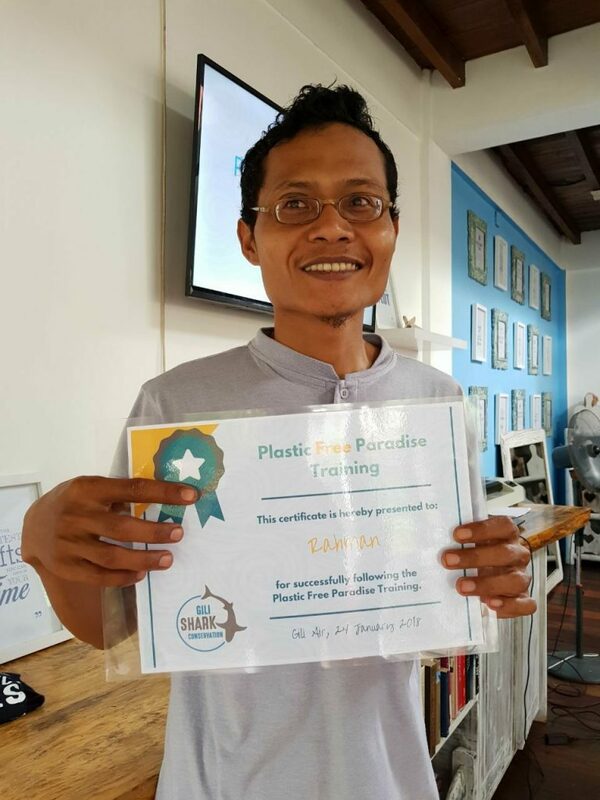 We hope that more and more businesses on Gili Air will contact us and schedule a Plastic-Free Paradise training for their staff. It’s an easy way to become part of the solution and keeping our island home a paradise island.